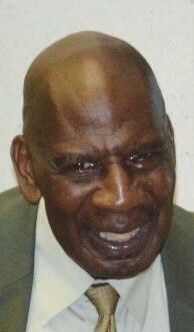 Lucius “BO” Levett transitioned November 10, 2018 at home in Apopka, FL. Bo enjoyed a career with the Savannah Police Department beginning in 1963. He left the Savannah Police Department in 1985 and began a career with the Harlem Globetrotters, traveling to more than 122 countries with the team. After retiring from the Harlem Globetrotters, “Bo” was part owner of a semi-pro football team in Roanoke, VA.
“Bo” was a multisport athletic standout at Beach High, and after high school, he played with several area teams. 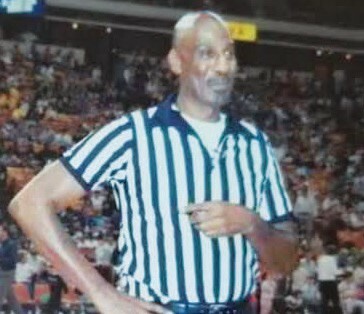 In 1963, “Bo” co-founded the Savannah Officials Association, a referee business, and operated it more than five decades. He officially launched his career as a coach in 1964 with Cloverdale teams and then founded the Police Athletic League of Savannah (PALS) in 1968. The PALS won nineteen national championships as well as other honors (1968-1985). In 1996, “Bo” was inducted into the Beach High School’s Athletic Hall of Fame and into the Greater Savannah Athletic Hall of Fame in 2015. “Bo” Levett’s legacy is marked by hundreds of former athletes who played on his teams; a large number who coached alongside him; and former players who became coaches because of him. Scores of those players learned officiating from him. His record and reputation showed that he succeeded in his dream of “building boys rather than repairing men”. Beyond the various sports venues, “Bo” Levett was a loving husband, father, grandfather, great-grandfather, and caring friend. Wake will be held 5pm-7pm Sunday, November 18 at Unity Funeral Home, Apopka, FL. Funeral services are 11 am Monday, November 19 at St. Francis of Assisi Catholic Church of Apopka. In lieu of flowers, please volunteer your time and talents with a local youth development organization of your choice AND/ OR contribute to American Parkinson Disease Association at Apdaparkinson.org. A COMMUNITY CELEBRATION will be held in Savannah within the next several weeks to share BO LEVETT’s legacy of achievement with coaches, former players, business associates and friends. We did not know your father had passed until we received your card and note. We mourn your family’s lost with you. Please call us or email us, because we have lost your number.